What is Vape Bull Ring Trick? As we know, an actual bull ring has extra holes. Wellon Vape experts told Olivia that Vape Bull Ring Trick unlike actual bull ring. Vape Bull Ring Trick will leave no extra holes and disappears pretty quickly. The bull ring maneuver also comes in the shape of an O. However, instead of the oral cavity, one has to exhale through the nose. So, basically, you end up blowing Os through the nose. Wellon Vape experts will explain this point more detail below. Wellon Vape experts have summary, key point of Vape Bull Ring Trick below. Simply saying, blow a small to medium sized smoke ring, then lean in and inhale the top of the ring with your nostrils. By the way, keep below in your memory. For those of you who think this might be a bit painful, don’t fret, there’s no pain involved. This might take some time and master. Get the perfect bull ring, let a nice “o” float and medium speed. 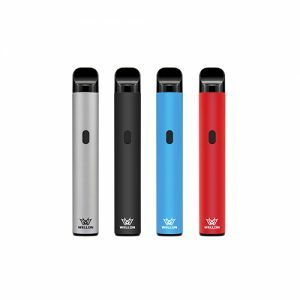 It will also take a fair amount of practice using an e-cig device that has the ability to produce more vapor to create that highly visible thick ring resembling the bull ring. Stand in front of a mirror or video tape yourself while doing this trick so you can tell if you are performing it correctly. Previous PostWhy You Should Learn Some Vape Tricks?